De-humanization in Medicine A Review of Doctored: The Disillusionment of an American Physician by Sandeep Jauhar. I read this book quite quickly. It is a gripping, emotionally honest memoir and critique of contemporary medicine. Dr. Sandeep Jauhar is a cardiologist and author. His first book was called, Intern, about the first year of residency training, and he writes for the New York Times. With great emotional honesty, Dr. Jauhar charts his journey from finishing his cardiology fellowship and into the world of medicine on Long Island and into the underworld of private practice. As Jauhar, documents his own “mid-life crisis” (struggling financially, trying to balance the expectations of his Indian family and golden boy brother, dealing with problems conceiving children, then with the difficulties of being a single income family with small children) he, interestingly, portrays American medicine as being in a mid-life crisis of its own. I think this is a useful way of looking at our health care system today, particularly in light of Jung’s advice about the afternoon of life, that the truths of the morning no longer serve and that we require new truths to prevent crisis from becoming breakdown. There are thus three stories that Jauhar weaves together: the story of his own life, the local realities of cardiology practice in New York, and the larger story of the culture of medicine in the US and how we have gotten to this place. He tells a compelling tale on all levels. The second story is utterly depressing and is like a never-ending nightmare. Dr. Jauhar, looking to increase his income to support his family in their one bedroom apartment and to pay off medical school loans for himself and his wife, peddles himself all over town, trying to take on more work. The cardiology private practice culture (and it seems he is mostly exploring a sub-culture of Indian and Pakistani immigrant physicians) is rife with over-billing and almost indentured servitude in which the boss brings in young doctors to do the busy work and takes the lion’s share of the profit. Sandeep Jauhar is just not cut out for this kind of work. He comes across as the kind of man you would want as your doctor, thoughtful, not arrogant, not putting himself forward, not focused on the money, but on “doing the right thing” for the patient. However, he portrays the painful clash of his personality and ethics with the ugly realities of private practice cardiology on Long Island. He explains the local history and the vectors of force acting in medicine today. “Most of us went into medicine for intellectual stimulation or the desire to develop relationships with patients, not to maximize income. There is a palpable sense of grieving. The job for many has become just that – a job. Something fundamental is lost when physicians start thinking of medicine as a business,” (171). I cover similar ground to that of Dr. Jauhar in my book, Re-humanizing Medicine: A Holistic Framework for Transforming Your Self, Your Practice and the Culture of Medicine. In addition to the critique of the economics of medicine, I also look at the effect of an over-emphasis on science and numbers to the detriment of the human aspects of medicine. The solutions that Dr. Jauhar suggests are largely systemic, such as shifting the way medicine is reimbursed from fee-for-service to accountable care organizations, bundled payment, or paying doctors as employees rather than based on how much they can bill. He is realistic and sees how difficult it is to reform medicine, but he also points out that one in every six dollars spent in the US goes to health care. However, this still places the responsibility for change with the government, with hospital and clinic administration, with insurance and tort reform. 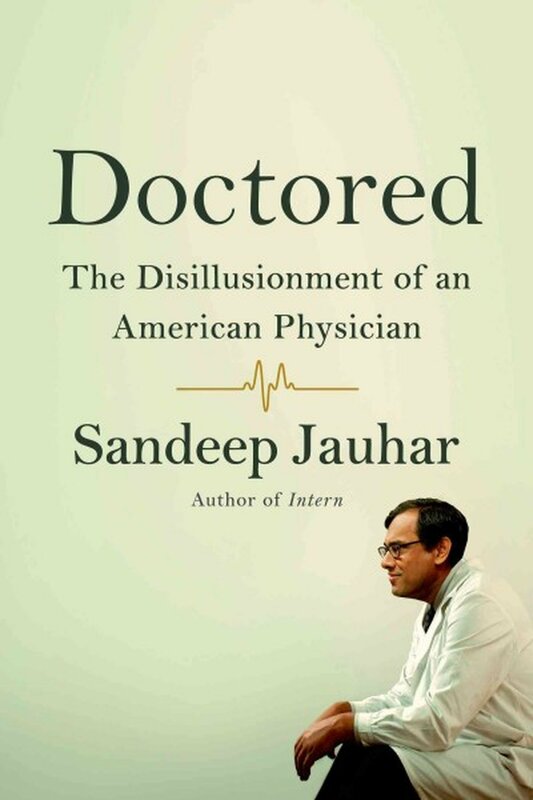 Jauhar does point out that, “Doctors never seem to acknowledge that the widespread burnout in our profession is in part due to the behavior of doctors themselves,” (171). This is an excellent point, we can’t wait for reform and change to come from outside. I quote in my book from physician Peter Salgo’s New York Times piece where he says “we as doctors have felt powerless to change this,” and he puts out a call to patients to demand change. I take this statement to task a bit. We as physicians are the point of contact of medical care within the US. While there are many competing demands, vectors of force, and forces of dehumanization within the institutions of medicine (which both I and Jauhar document), we cannot relinquish our responsibility and the considerable influence we have as the providers of the actual care. However, it does mean that we have to look at our own behavior and challenge ourselves to change, even if it means going upstream and working, at what seems like cross-purpose to the system, by providing humane and compassionate care, in caring for ourselves first of all, and then our clients and colleagues. Here is where I do take Jauhar to task. He has documented the problems in contemporary medicine. He has shown the painful struggles of physicians within our current system. He has portrayed the moral crisis and the mid-life crisis in medicine today. But, in the narrative of the book, it looks like the way that Dr. Jauhar solves these problems is to move to the suburbs and to reduce his expenses. Is this the best we can hope for in medicine today, a small personal reprieve? I like Sandeep Jauhar, I feel like I know him from how well he writes and how well he captures the existential dilemmas of contemporary medicine. I think in bearing witness and documenting the disillusionment of an American physician, he has done a wonderful service. I think we need to look at what he says, though, that burnout in our profession is in part due to the behavior of doctors themselves. This means that we can address this problem by changing our behavior and this is something that we can do now, we do not need to wait for political or institutional reform. I encourage Dr. Jauhar to read Parker Palmer’s article “A New Professional: The Aims of Education Revisited.” Palmer has written that “institutions are us,” and he outlines the way that professionals can take responsibility for the ethical direction of institutions. We need to move beyond critique and into change and transformation. I found myself thinking as I read Sandeep Jauhar’s book, would my book work in his situation? Would it help at all? 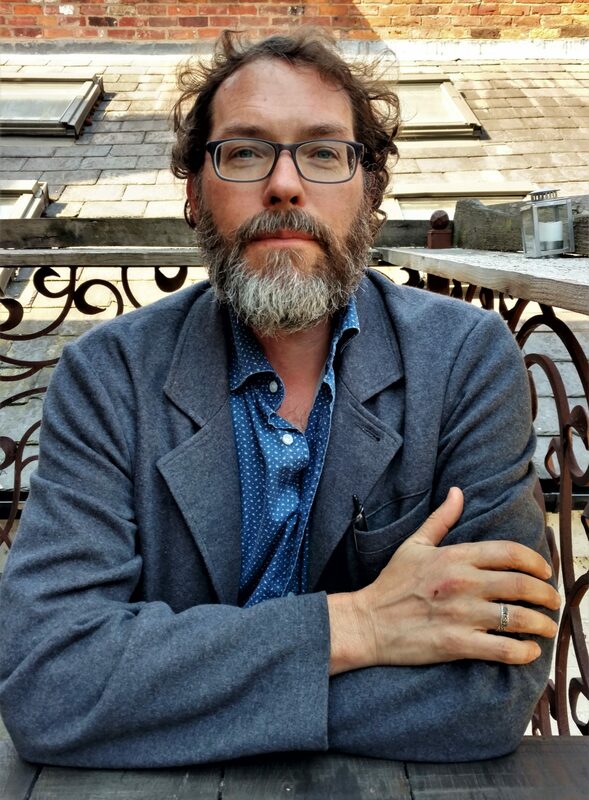 He documents dehumanization in himself and in the profession. I aim to re-humanize medicine through empowering individual professionals and encouraging them to develop themselves as whole people in order to provide whole person care to their clients. I encourage a counter-curriculum, which individuals have personal responsibility to create and maintain in order to preserve their precious humanity that is so needed in medicine today. I call for a compassion revolution in medicine. And I am not alone in this, Parker Palmer, Robin Youngson and Tony Schwartz, just to name a few, are out there trying to change the way that we think of ourselves as human beings in our work places. But as I read Jauhar’s book, I found myself wondering, is this enough? Is my approach practical or even feasible? Maybe it only works in psychiatry? How would if fare in the underworld of private practice cardiology in distant Long Island? I feel that my framework is generalizable, as I have developed while working in many different practice settings in two different countries. There are days when I despair about the systems we work in and all the ways that our institutions seem designed for the opposite of compassionate care of the whole person. But, I think my book can help. We have to do something. We can do something. Dr. Jauhar, if you are out there, I’d like to send you a copy of my book. Thank you for your emotional honesty and your excellent critique of the mid-life crisis of American medicine. I think we can do something more to nourish our humanity as well as that of our clients and colleagues. I had a great time at the conference and it was really energizing. I met many inspiring people from all over the world. There are a substantial number of people doing great work to support clinicians and to bring compassion back into healthcare, and they are doing it at the individual, research, and administrative levels. Of note, Robin Youngson gave a great presentation. Tony Fernando gave a presentation on positive psychology that had a lot of practical information about how to be more compassionate in clinical work. Jane Lemaire, from University of Calgary presented a series of studies that her group have done on physician well-being, one of the most interesting was on the positive cognitive and relational effects of simply feeding doctors (something that often takes back seat in a busy clinical day). Marsha Snyder gave a great presentation on the issues involved in working with patients who are doctors. You can still see the conference programme on-line if you want get an idea of what the conference was about. I thought I understood that the conference organizers would be putting up some additional information following the conference, although that was up at the time I posted this. View more presentations from the conference. The next conference will be in 2013 in Queensland Australia.